As a contractor, it's your duty to ensure that your clients' homes are kept clean and safe while you go about your work. Whether you are a plumber, electrician, carpet fitter or builder, it's important that you don't transfer dirt and contaminants from outside into domestic environments. 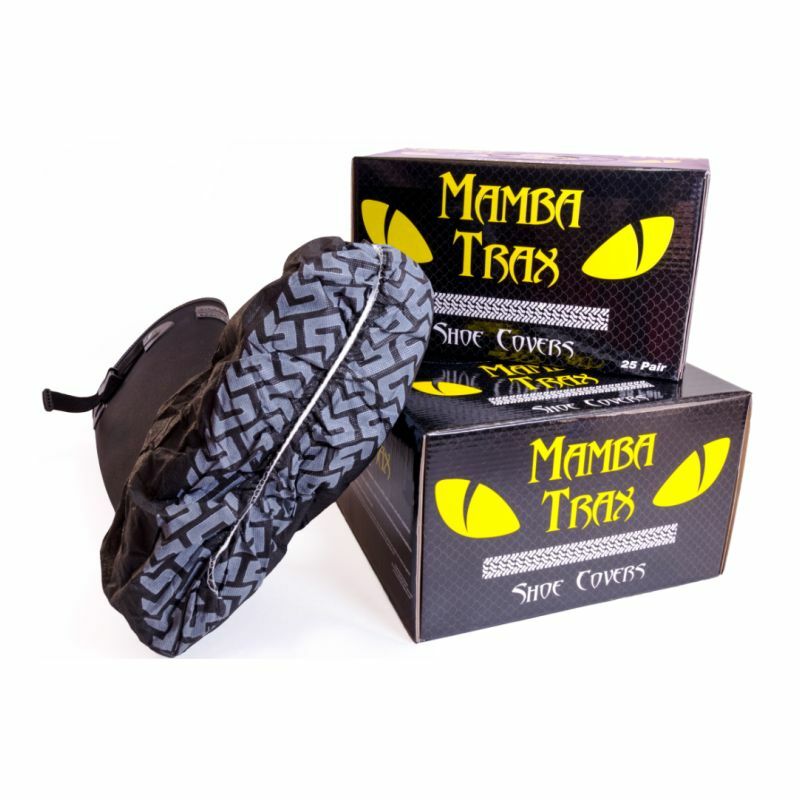 Designed with service industry professionals in mind, the Mamba Trax Heavy Duty Shoe Covers MT-X50 feature an easy-slip on design that is ideal for protecting both carpet and wood flooring. Made from heavy-duty polypropylene fibre instead of the conventional plastic, they will last longer than most standard shoe covers. The Mamba Trax are supplied in a one-size-fits-most design with elastic seams that can adjust to cover up to a size 14 work boot.